This is my first blog post in a very long time. 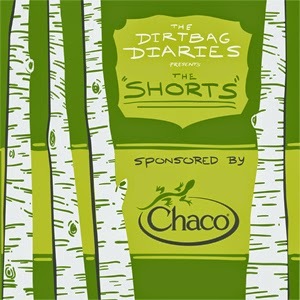 It is for a site called The Dirtbag Diaries, a very cool website with podcasts about all sorts of adventurey and outdoorsy type stuff. All free and all worth hearing, sometimes truly inspiring. I first heard about them a couple of years ago and have wanted to write for them ever since, so to finally hear my story on there is a big thing for me. Please share the link to my story if you like it, the Diaries is run by really lovely people with a great mission and they deserve to get known worldwide! A snowy start to the day! After a long night of sliding into the corner of my tent due a poorly chosen pitch, I'm up early. It's bright in the tent, It seems like it might even be sunny. 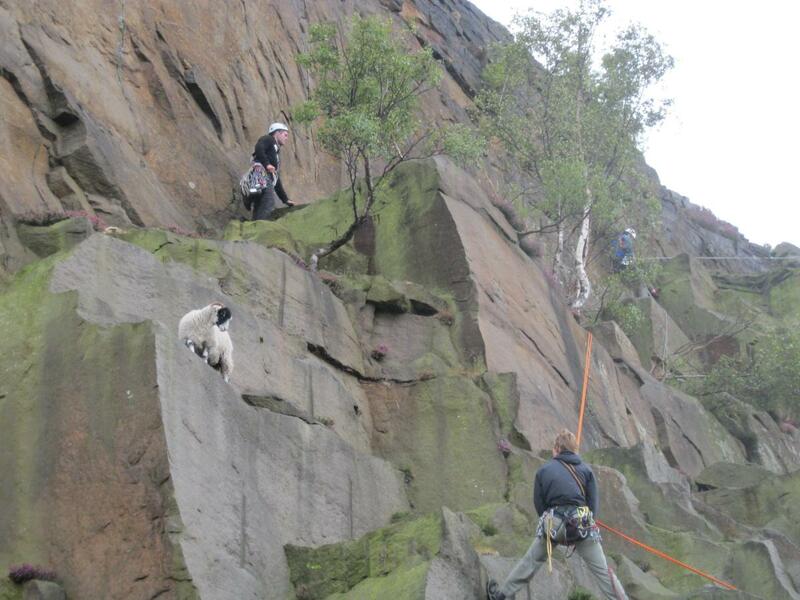 It is Easter Bank Holiday 2008, a climbing trip I will always remember. I pull the zip expecting blue skies and green pasture, and as I do the huge slab of snow that had been sitting on my tent door falls into my face, drawing my attention to the deep snow now covering the ground. Bugger. We figure Burbage North might still be worth a look, and are pleasantly surprised. After a couple of dry and snow-free climbs, I sit down to consult the guidebook. I go off to have a look without telling the guys what I'm doing, half hoping to find some insurmountable challenge that I could easily dismiss and get on with something easier. But I find myself alone in front of Long Tall Sally, E1 5b. And it actually looks do-able. He knows already. I wish he didn't. I could so easily just back down now. No! I never said I was ready! But maybe I am. How would I know? This is different to anything else I have tried. 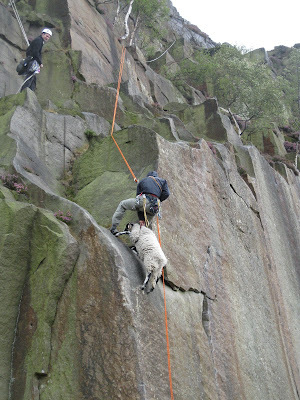 We discuss the climb a little as I tie in and begin to rack up. This is really bad. I'm actually seriously considering this now. No, this is really good, this might be my first E1. No soft touch, this really will mean something. I will be proud of this climb and know that it counted. My mind drifts, and I think of random things, of friends, of my girlfriend. Stop! This is not helping. I'm suddenly aware, in a way I have never been before, that the route in front of me is all that is important. It doesn't matter what it's called, who has climbed it or what grade it is. All that matters is that I am about to climb it and I have to get it right. I try not to think about anything or anyone. Three moves in, I slip off without warning. Jens spots me really well and I land firmly on my feet, but it hurts the arch under my right foot. Damn. It breaks my concentration and I am back in the world of communication where I don't really want to be. I have to really try hard to get off the ground again. Finally I work it out and get back onto the route. I place a nut in a small crack and move up to the relative safety of some good holds for hand and feet. Time to focus again. A slip from here is going to hurt if that nut pops out, and I think it probably will. I try out a few bits of gear before deciding on a solid large nut and a well placed cam. I decide to pull out the small nut just in case I need it, all the time trying to stay calm and not get pumped. I take a quick breath and move up boldly. To my horror the crack line that I thought would provide good holds all the way to the top becomes so narrow I can only get the tips of my fingers in. This is going to be harder than I thought, and any more protection will be tricky to place. I swing my right foot over the bulge and try to feel for some kind of purchase. All it will offer is a pure gritstone smear, something which I have trouble on with good handholds, never mind tricky ones. I start to pull up anyway, but I can feel my fingertips sliding out and I just know I will not stick it. I back down to the good holds and feel just a little tension on the rope. I know that means Jens is worried about me falling and has taken in a bit, and it reassures me to know that he is on the case. I haven't rested on the rope, there is everything still to play for. I start up again and this time I find it slightly easier. I'm feeling confident now. Next is the long reach up to the pocket, I really hope it's as good as it looks..... slowly..... stretch..... got it! A small cheer from down below. It's not quite as juggy as I had hoped but a good hold nonetheless. Can I get any protection here? Maybe, but it will mean sustaining this awkward position whilst fiddling through my gear and I don't think I'm going to be able to do it without falling, I don't even know which hand I would use. The thought of even trying seems too difficult and scary. Just press on, it looks like it gets better. Ok handholds aren't quite so bad but where the hell am I gonna put my feet? There's a pebble there about 8mm across, but it sticks out a bit and it might be better than a smear. Okay, I'm on it. Now the other foot.... another pebble! Well, the first one feels quite good so this one should too. Are these even going to hold my weight? Stop it. Bad thoughts. They will hold. My heart is racing and my breathing uncontrolled. I try to play through a simulation in my head of falling and stopping before the bottom. I can't afford to fall now. Too much is at stake. A fall from here is going to hurt a lot and may even mean serious injury or worse.....Its gone way beyond a simple tick now, this is a moment of mortal realisation and I must do the only thing I can do to get out of the situation safely. I crimp even harder and slowly get my foot back on the tiny pebble. I pull on every bit of strength, composure, willpower, drive, and whatever else I have to make the next move, allowing me to get my foot in the pocket and catch my breath a little. A few more seconds while I try to slow down my breathing and control my emotions. Reach to the top, grab that wonderful, glorious hold and pull up and over with the strength of a thousand men, as if my body is suddenly lighter than a feather. I scream and shout! My friends cheer from the bottom! I can feel their relief, as I suddenly realise mine. The rush of adrenaline hits me and I have to lie flat because my whole body is shaking. Wow. This is what it's all about, right here on the top of the hardest and scariest thing I have ever done. "You'll have to give me a minute, I'll set up the belay in a bit!" We laugh and joke about the route I discover that my 'solid' nut fell out but that no-one told me because I was too high up for it to make any difference! I am still shaken up for a good few hours after and I think that experience will stay with me for the rest of my life. 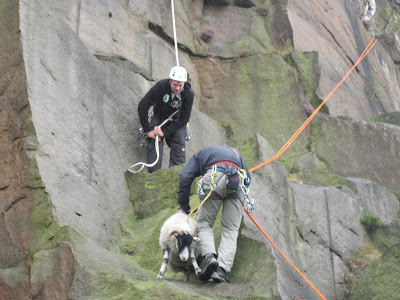 Thanks go to: Jens Verhaegh for belaying and giving me the peer pressure I needed to try it, David Proctor for taking the photographs and Dave Terris for suggesting the route in the first place. I wrote this article in 2009, roughly a year after actually doing the route. 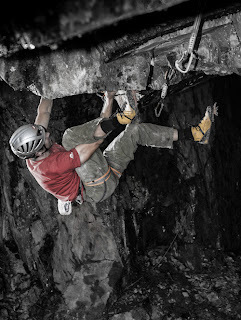 It was published on UKClimbing.com in March 2009 and has been read nearly 6,000 times since then! I decided to put it on this blog after publishing an article about things going wrong while leading trad. I thought it was important to add one about things going right! 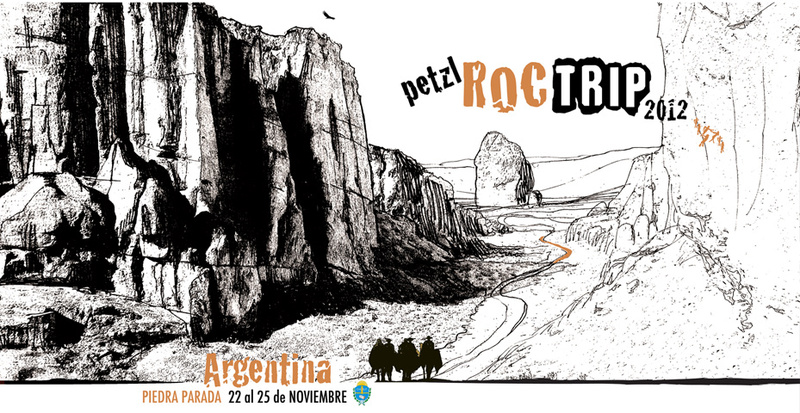 I often found myself wondering whether anyone actually wins these prizes climbing companies always seem to be offering, and until this year I was always skeptical. But after Lyon Outdoor paid all my expenses to go on the Petzl Roctrip in Patagonia, this opinion has been changed forever! Anyway, Lyon are currently running another competition with another great prize and since it would be incredibly bad form for me to try to win again, I am urging everyone else to try! 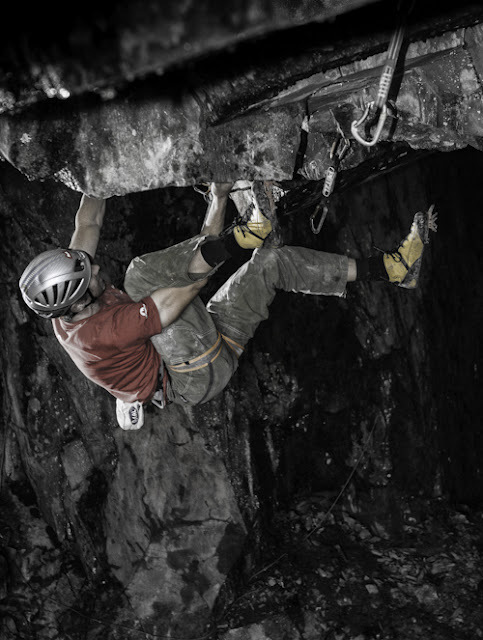 The prize is for the lucky winner and their friend to go climbing and receive top level coaching and instruction with legendary winter climber Andy Turner. 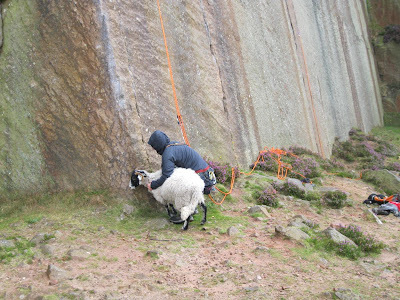 Andy has a very impressive list of hard winter ascents up to Scottish X,9 and first ascents at IX,9 and is also qualified to the highest level in the British scale - MIC, making him an excellent choice to get you climbing harder on axes! While on the trip you will both stay in the historical Glenmore Lodge with free bed and board, so you will be able to push hard up the icy gullies knowing a hot meal and comfy bed is waiting for you each evening. It's really an easy competition to enter - just go to this page and answer four questions which are very easy to find the answer to. It will probably take you five minutes and could end up winning you this awesome prize! On the last day of the Petzl Roctrip, I looked down the gorge from the summit of my last route and realised I needed to record the inspirational walk that took us to our climbs each day. It was a walk that took about 40 minutes usually, but I had only 29 minutes left of recording time on my memory card and possibly less battery life. It would require a swift walk. Consequently, the video I captured is far from steady or beautifully filmed, but a few people I have shown it to seem interested in it so I have decided to upload it for the blog. I believe the full video will be arriving on the interwebs sometime around February 2013. Can't wait! But falls are always safe, that gear will definitely hold and I will never actually hurt myself. This is definitely a mantra I have used overcome the head games that are ever-present when climbing, especially on trad. It is quite obviously a lie, and the rational part of my brain will remind me of this when contemplating hard moves with uncertain outcomes, but if I think that lie hard enough I can keep all the other thoughts quiet when it matters. After all the best protection is not falling off, right? A couple of years ago, I was in a bit of a heyday of bold climbing. Along with many of my peers at the time, I was discovering the thrills of getting away with routes that were (for us) quite hard with potentially serious consequences. Routes where the crux moves were over a definite ground fall or highly questionable protection were becoming more sought after, and difficulty was less important to us than fear factor. 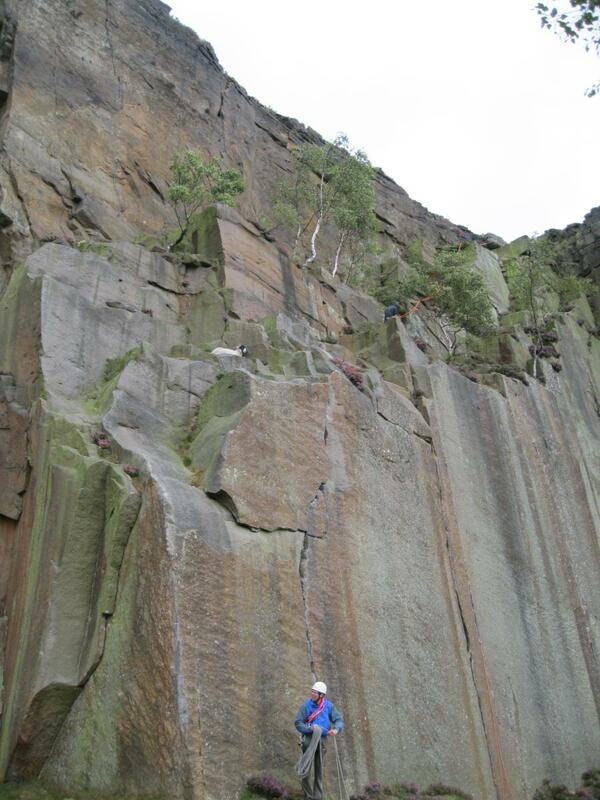 It was in this time that I started climbing quite a lot with my good friend Paul Jones. 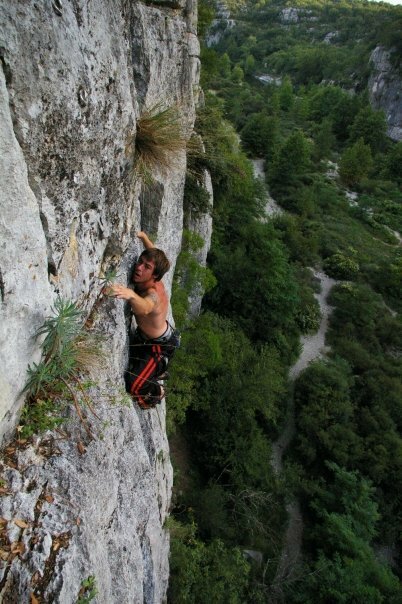 Having started climbing in France, where bolted climbs are the norm, he had become a strong climber but had not yet been fully sucked in to this very British ethic of onsighting short, dangerous routes placing your own gear as protection. I tend to see great potential in most people I climb with and Paul was no exception. His background in martial arts and yoga had earned him great core strength and focus and it seemed obvious to me that he should be trying harder trad routes. Today would be that most important step for any trad leader - his first HVS. It was mid-week, the sun was shining and we both had a day off. A rare and beautiful thing, with only one acceptable course of action. Paul came and picked me up in his faithful van named 'Billy' and we set off to visit one of the little known crags of Leicestershire. 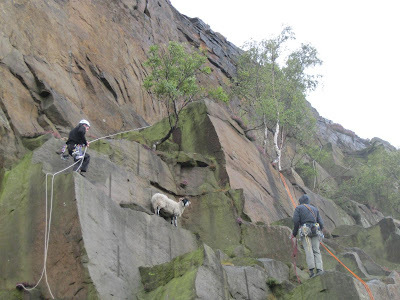 For the dedicated, optimistic and ever so slightly desperate climber there are a few funny little crags to be found around this unassuming city, each offering maybe four or five routes and one real gem. 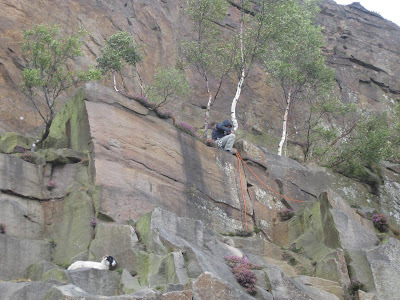 The small outcrop of wonderful pink granite we were headed for was no exception and the route of the crag went at HVS 5b, ideal for Paul and a route I was more than happy to revisit. We had taken only the gear we needed on the walk in. It's really not far, but why lug everything over there for one or two routes? Included in that logic was the helmets. It's only Leicester, what could go wrong? Besides, we had all been working on the idea that the helmet is really only there to protect the belayer, and this line had good solid rock and no chance of anything loose reaching the belayer anyway. And Paul didn’t own one so I would have to dig out a spare. Might as well leave them behind. Paul was understandably a bit nervous, after all this was to be his first HVS, but he was excited too. We both were. On the drive there, while listening to one of the three tapes he had in the van 'Lou Reed - New York', I went through the route with him as thoroughly as I could. An easy start leads to a ledge where you can place a few bomber small nuts in a crack to the left. Passing these provides the crux, both awkward and powerful with a number of options, but all lead to the move that makes this route so good - a long reach from a bad position on smears to a great hold above. 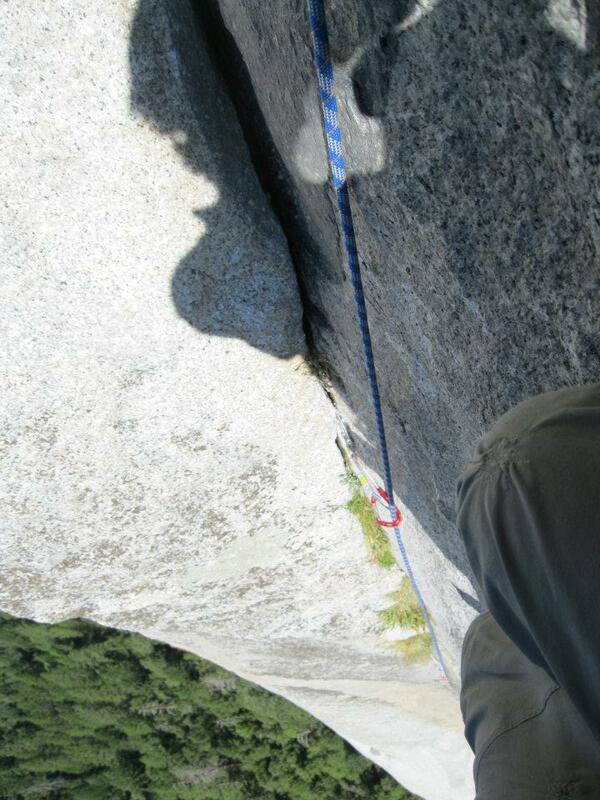 Once you reach that, it's just a couple of hauls on good holds, place some more good gear and top out. Some hard moves but I knew it was safe, I had seen three different people fall on the crux and the worst they'd had was a bit of rope burn from catching it on the way down. One of those where if you just go for it you'll be fine. We went back to our usual banter, putting the world to rights and commenting yet again how great Lou Reed was. At the bottom of the route, psyched and cocky as ever, we sorted out gear, Paul put on his new favourite pair of Spandex trousers and off he went. He began confidently up the easy ground and quickly arrived at the crucial gear placements. He placed two nuts - a number 1 and a ¾ micro, usually a bomber combination in that spot, and took the time to seat them well and look at them carefully. 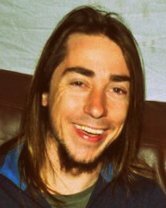 When happy that all was well, he set about working out the difficult crux moves. It is one of those pieces of rock where you really have to think in three dimensions and there was really not much advice I could give beyond the locations of the useable holds. Paul tried in earnest, moving up and down trying different things but struggling to find what he needed to feel confident committing to the long reach above. He had one really good go and got set up for the reach, but then got the panic we have all felt trying moves we don’t like and started backing down again. It was at this point things went wrong. Defaulting to his sport climbing experience, Paul shouted “Take in!”. Initially I encouraged him to step down a couple more moves to get back to the ledge, more so he could save his ‘flash’ attempt than anything else. But it was clear he did not want to so after a moment I started to take the rope tight. As I did so he sat back, in the usual manner anyone would, ready to rest on the rope and get his thoughts together. The problem was that the crack he placed his gear in was on a piece of rock that angled away from him at about 45 degrees. 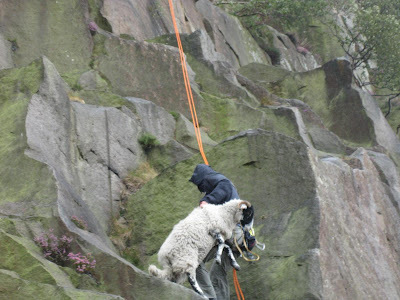 Also, though he had given both the nuts a good tug when he placed them, the bullet hard granite had not allowed the nuts to really seat in the way that they would have in the Gritstone we were used to. As he sat back, the quickdraws were raised slightly, and this was just enough to lift both nuts clean out of the crack. He did not even slow down. With no expectation whatsoever that he would do anything other than rest on the rope, he simply carried on rotating in his seated position as he fell backwards through the air. His back hit a ledge a couple of metres below and he carried on, somehow completing a full flip with a half twist in the six meters between there and his final point of impact on the ground. I immediately shouted to him and ran over, his eyes were glazed, pupils contracted and after a few moments he started emitting a gurgly snoring sound. By some amazing coincidence, I had recently completed my Single Pitch Award and it was only two weeks since my Outdoor First Aid training with BASP. Without emotion even entering into my head, the mental checklist took over. This was just another accident with a clear list of things to do and with no-one else around it was down to me to do them. Airway, Breathing, Circulation. Then deal with the rest. His airway was obviously not clear so I tried a chin lift but it did not work as there was blood in his mouth. After a serious fall, it is always preferable not to move the body, but I had to get him breathing. 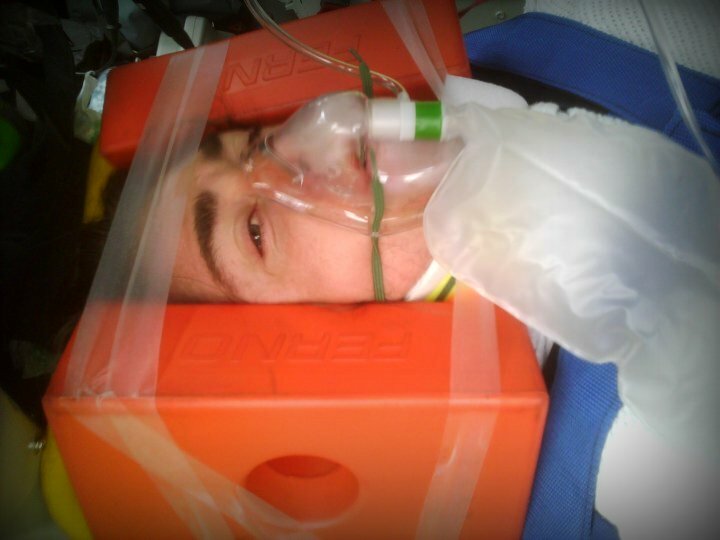 As carefully as I could, I rolled him to recovery position and this cleared his mouth and got him breathing. I kept trying to get a response but his eyes were not even trying to focus and there was no vocal response at all. I also noticed trickle of blood from his ear which could not be a good sign. It was time to call 999, this was definitely beyond anything I could deal with alone. My rubbishy phone had no signal so I was forced to run for help. We were not exactly in a place where you would expect to see anyone, but by another massive stroke of luck there was a lone birdwatcher at the side of the road. I barked orders at him, leaving no room for question or delay, and he got straight on his phone with the information I had given. I did not wait to hear the response, but shouted for him to let me know when they would be there as I ran back to Paul. When I got back to him, I got a groaning response and his eyes were trying to focus on me. I tried to make him comfortable where he was but he was very disorientated and kept trying to move around. I was worried about spinal injury so I tried my best to keep him still. I checked him over for any obvious breaks or major bleeding, but did not find anything beyond the obvious head trauma and a few small scrapes and cuts. I removed his climbing shoes to stop pain later on, untied his rope, and removed what I could from his harness. I remembered a story of another friend having a bad fall and being a tad annoyed when the paramedics cut his harness off so I had a go at getting Paul’s off, but it could not be done without moving him quite a bit and I thought it better to leave it be. As his speech came back, slurred and mumbled, he kept asking what had happened, where he was and why he was here. No matter how many times I answered, those same questions kept coming out. 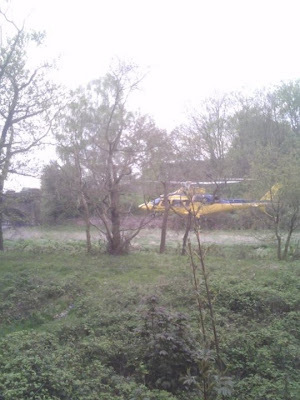 The helicopter took about fifteen minutes to arrive, and pulled off a quite incredible landing on the marshy river bed with what seemed like a few meters clearance from the trees either side. 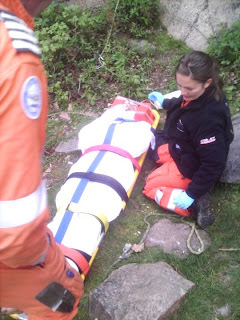 The paramedics were kitted up and by our sides in a minute or two, and after taking a moment to establish their own safety and gain some information about what had happened they got to work on Paul. could have ended this story very differently. The usual checks for breaks and bleeding were made and they quickly decided to give him a shot of morphine. They were rightfully worried about head and neck injury so I held his head while they checked him over and strapped the head support blocks on. Before long, the scissors came out and cut off his harness, along with most of his pride and joy spandex! We then log rolled him onto the backboard, strapped him down and worked together to negotiate the obstacles between there and the helicopter. blocks. 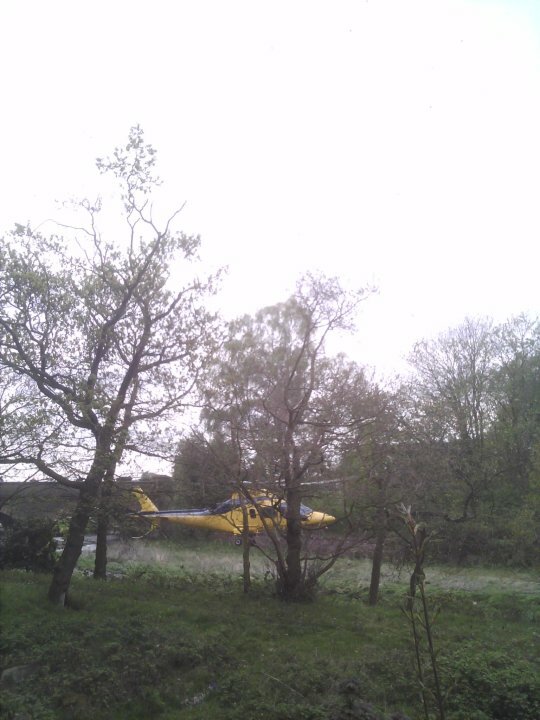 In this shot he was in the helicopter ready for take off. 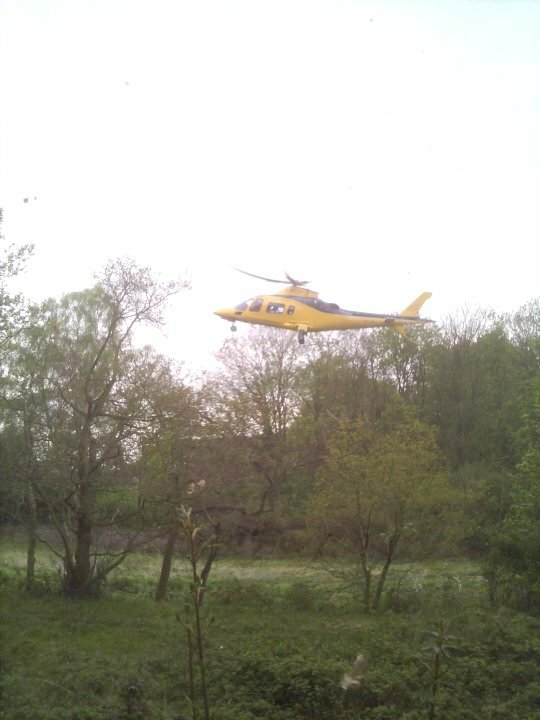 The take off was every bit as impressive as the landing and I sat and watched with another paramedic who had arrived by car. It was only at that moment, watching the helicopter rise up into the air, that I actually began to feel what had happened. The potent blend of adrenalin and emergency procedure had completely inhibited any emotion or sense of self up to that point and as the pressure of the moment was lifted, so I became aware of what had happened in a different way. I became aware that one of my best friends had nearly died right in front of me, that there was a chance he still might. I had thoughts of the consequences of a back, neck or head injury. Doubts about what I had done and whether it was right. Regret that we didn’t wear helmets. Anger at myself for being so stupid. The paramedic left, after very kindly going through the first aid actions with me and saying that he would have done the same. That meant a lot and helped me put at least some of the most difficult thoughts out of my mind. I started to collect all the gear together and coil the rope. I couldn’t do it. This simple procedure I had performed so many times was just too much for my brain to process and after fruitlessly passing the rope between my hands a few times I just picked everything up in a bundle, took it to the van and threw it all in. Stuck in the outer reaches of Leicestershire with no-one around, I had little choice but to drive ‘Billy’ back home, his beloved van with almost as many quirks as Paul himself. I unlocked the passenger door and clambered over to the driver’s side as I had seen Paul do so many times before. Between the unusual clutch control, window glass dropping into the door and Lou Reed urging me yet again to take a walk on the wild side, it was a difficult journey home and I had to stop a couple of times just to get my head straight. Before I left I called my housemate Gareth and he started finding contact information for Paul’s family and finding directions to the hospital. By the time I got home I was far too full of thoughts to want to continue driving so it was great that Gareth and I shared a car. We grabbed a few bits of Paul’s clothing and carried on up to Nottingham. We arrived at the hospital nearly two hours after the accident. We had to wait a while to see him, then were given directions where to go. The sign on the door said ‘Resuscitation Unit’. 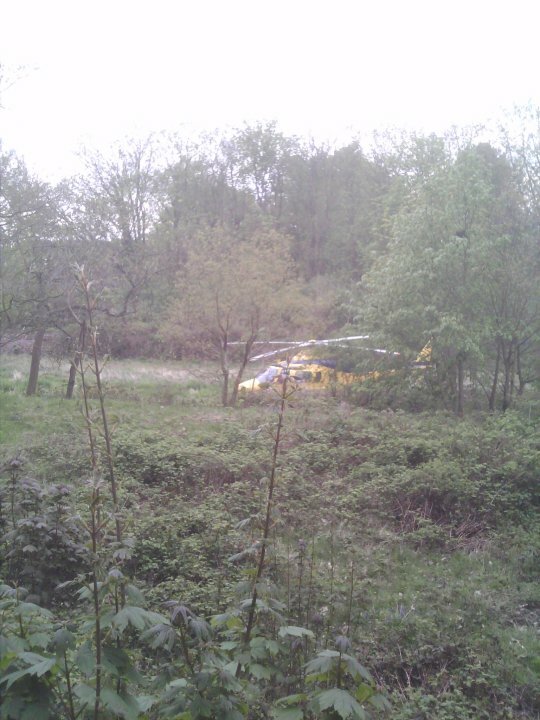 I was apprehensive to see what we would find in there, still gripped by the fear my friend could be in a serious condition. To Gareth it was a shock to see the state he was in. To me it was wonderful. His eyes were brighter and much more normal looking ad his speech was much less slurred. He appeared more aware of his surroundings and when he asked those same questions again, “what happened?”, “where am I?”, “why am I here?”, it actually seemed like he was taking some of it in. We stayed with him for quite some time and he was moved to a less urgent part of the hospital. His condition improved and his family arrived, and we eventually got home about 6 hours after the accident. 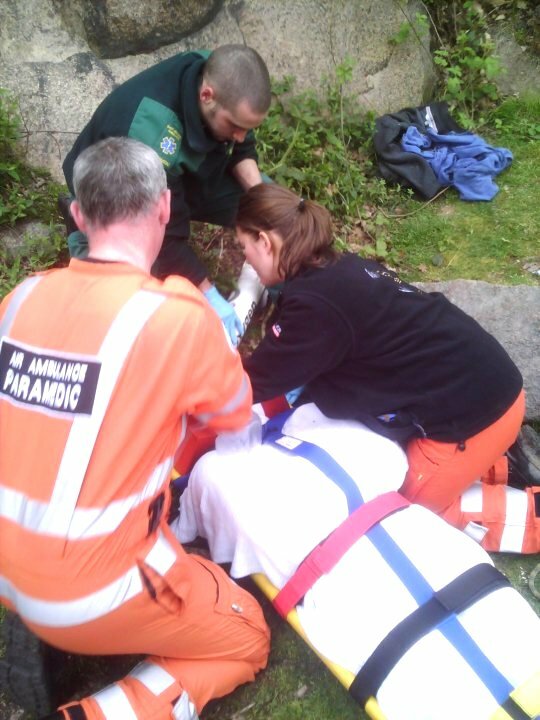 Paul had escaped with a fractured wrist, cracked ribs and bruising but no serious damage to his back or neck. In the days and weeks that followed, my initial joy that my friend was still alive was tempered with other fears. Though he had escaped many breaks and fractures, he had taken a serious blow to the head. When I went to see him, this witty, creative, intelligent person who I had never seen lose a game of chess was shuffling around his parents’ house, mumbling and losing track of what he was doing. I was reminded of McMurphy returning to the ward after receiving ECT in that heartbreaking scene of ‘One Flew Over the Cuckoo’s Nest’. I sat with him in his much beloved studio watching him trying to make a tune and he was just getting baffled by the whole thing, and soon gave up. It was a disturbing sight, and though his parents and I spoke about the effects of concussion and how it just takes time to get back to normal (or ‘normal for Paul’ as they affectionately termed it), the unspoken worry we all had was that this was how it was going to be, that this was all we would get back. Thankfully, after what seemed like far too long, Paul did return his ‘normal’ self. I had said to him in the hospital, “If you want to give up climbing, I would not say a word about it. No-one would question that. But if you do want to keep climbing, we need to get back on it as soon as possible, otherwise it’s just going to keep getting more difficult to go back to. And not only that, but some day we have to go back and do that route again too”. I genuinely believed that, and really wanted to help him with it, so as soon as he was mentally and physically able we were back down at the wall doing top ropes and building up his confidence in the system again. Before we went outdoors again he bought a helmet. 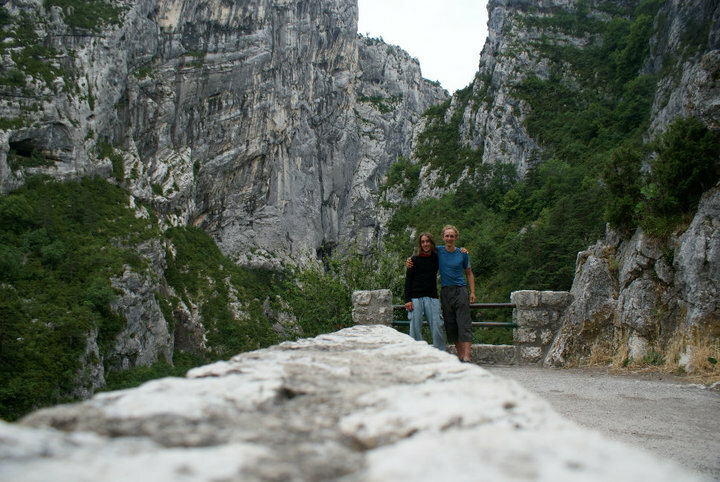 A month after the accident, we went to the Verdon Gorge together to fulfil a dream Paul had retained since his childhood. We climbed the biggest route we had ever done, the 350m high ‘La Demande’. That was a story in itself, which I will cover in another post, but we made it. Back at the car park after 'La Demande'. One of the best climbing experiences I have ever had. A couple of weeks later, we went back to do that HVS again. He rested on the gear again (my heart was pounding at that point!) but this time he had placed the gear more carefully and sat back more carefully. It was also backed up with gear lower down. The gear held, giving him the confidence he needed and he got back on and finished the route. Paul tells me he did not really feel right until two months after he fell, and has never recovered any memory of what happened after we got to the crag that day. 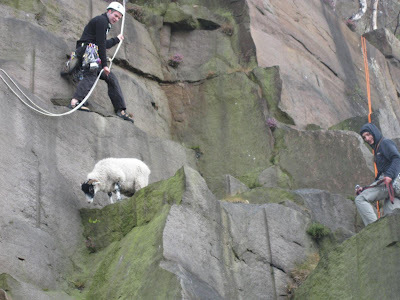 I have nothing but respect and admiration for his bravery and dedication in getting back on lead and dealing with the fear of falling which he tells me became much greater, and understandably so. He still beats me at chess. I wish I had played him while he was concussed! Place your gear well, and check it again. …..and don’t rest on it unless it’s bomber! Do a first aid course. A proper outdoor one. …..It may save someone’s life and will help you to stay calm and be sure you are doing the right thing in a crisis. I have massive admiration and thanks for the paramedics, pilots and hospital team who dealt with this accident. Without that safety net we are so lucky to be provided with in the UK, my friend could well have died. Each time you go climbing without a helmet, you are not just risking your own safety but also making a higher risk that a fall will leave you unconscious and incapable. A casualty in this state is difficult to deal with and can end up putting more people at risk. Consider this when you are going multiple pitches up or climbing in hard to access places. 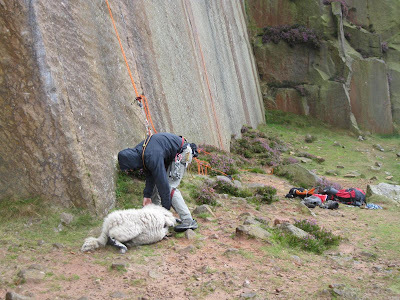 I am not the most disciplined and do still climb without a lid when I am fully confident it is safe to do so, but I keep a strict rule with myself not to climb on any trad routes or any multipitches without a helmet. This is not a story about Paul’s mistake. Neither of us wore helmets and either of us could have ended up in hospital. Not only that but many of our friends at the time did the same. It could have been any one of us. The reason I have not published this story until now, or mentioned the name of the crag or the route is that access in many of the climbing areas in Leicestershire is delicate. I do not want to upset that balance and it is important to note that this IS NOT a story about a dangerous route on a dangerous crag. It is a story of a climbing accident that could have happened anywhere, and there has never at any point been mention of the landowner’s responsibility, nor should there be. This is the hardest thing I have ever tried to write. Even now, so long after it all happened, it makes my palms sweat to recall the details and it has not been in the slightest bit pleasant. I just hope that maybe someone will read this and take something useful from it, and if that happens then it was worth it. Read a review of this one here! 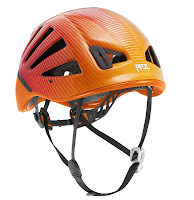 If you are still not convinced about wearing a helmet, maybe you should just give it a try again with an open mind – some of the new ones coming out are very nice to wear. I have reviewed one here which I think is great, but whichever one it is just find one that you actually like wearing and give yourself more reasons to wear it than not to. Paul is climbing harder than ever and has done many hard leads since then. We have done many routes together and I look forward to doing many more. He always wears a helmet. 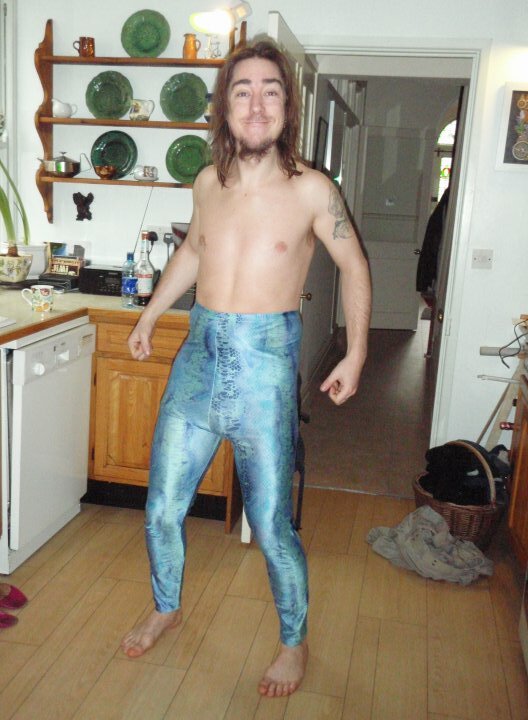 'Normal for Paul'.... and what remains of that amazing Spandex! 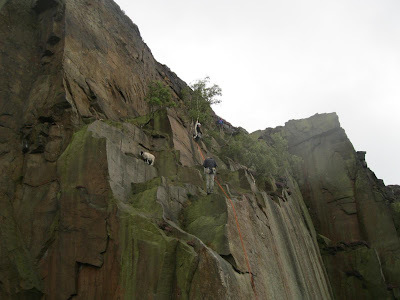 It was a grim day, I had just completed a miserable lead in the rain and we were packing up to head home when one of the only other pair of climbers desperate enough to be climbing that day came over asking for help. There was a sheep stuck on the Embankment ledge. 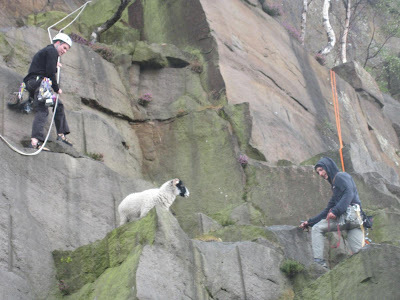 A few weeks previously I had climbed the wonderful fingers crack Embankment 4 only to top out into the truly horrific smell of a rotting sheep, so I knew this was something that needed dealing with. And so the rescue began! The other pair who were climbing were father and son (never did catch their names unfortunately), and the son volunteered to help while the father and my partner Julien stayed at the bottom to tell us what was going on (and take pictures!). I grabbed a few bits and pieces and went up the descent path to set an abseil in to the ledge. It is clear to see how the sheep got stuck down there, from the ledge to the top is just a series of giant steps - easy to jump down, not so easy to jump back up. 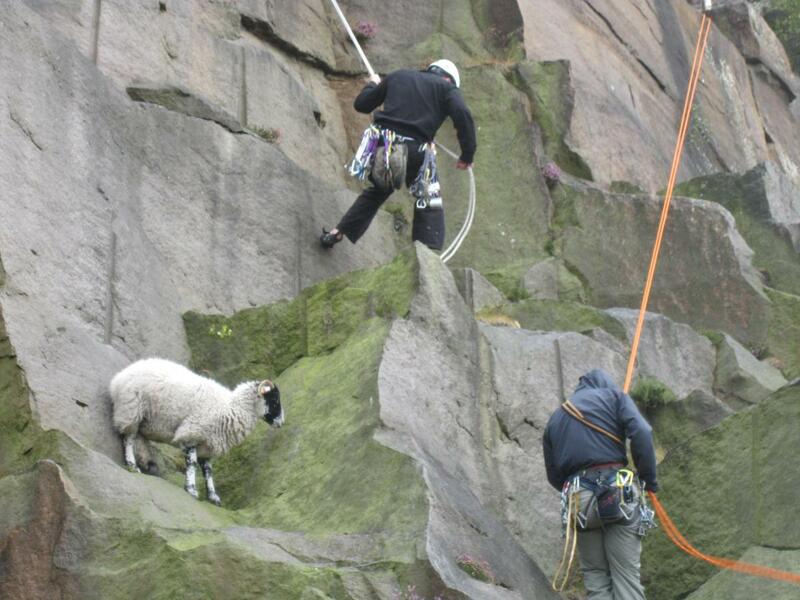 I got my anchor set and lowered myself down, my new sheep saving partner following behind. Soon I was next to the stranded creature, thinking this was all seeming quite straight forward, but it was apprehensive of me and kept moving further away. The most amusing thing was that it kept stopping to munch on the little sprigs of heather growing out of the wall at every opportunity in between fearing for its life. There is an animal with it's priorities worked out. 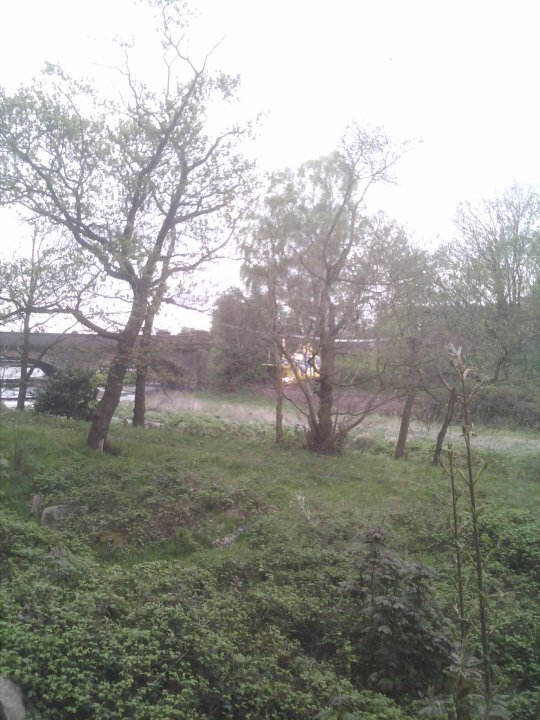 I sent the other guy round the back and we advanced in a pincer movement. Problem solved. 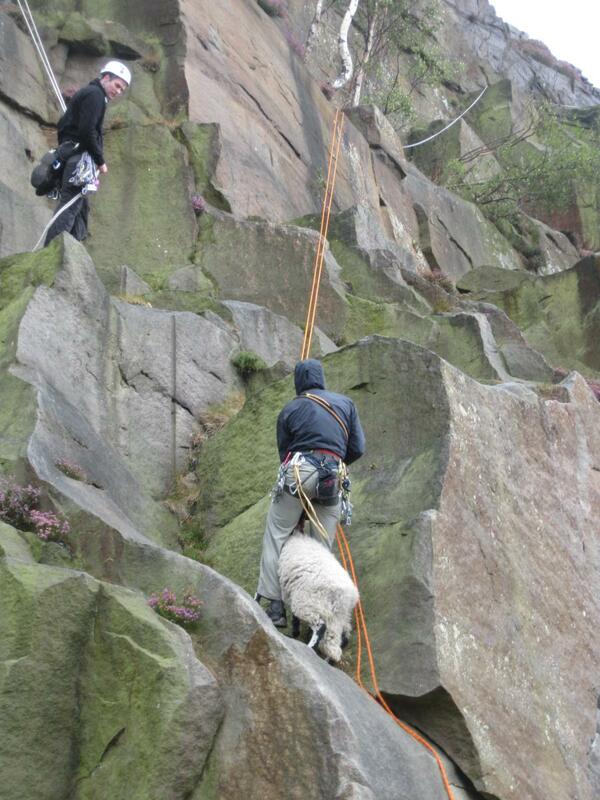 Except the sheep was not going to make this easy! It jumped down one more ledge, now on the last bit of flat rock before an unpleasant fall. We had to change our tactics. I crouched down in an alcove, partially hidden from this less than intellectual creature, and got my sheep buddy to jangle his hexes to make it look at him. Remembering something from that Dave Birkett film - Set in Stone, I quickly passed a sling under its chest and clipped it together over the shoulders. Hardly a comfortable harness but I used a nice fat sling and figured it had plenty of padding. 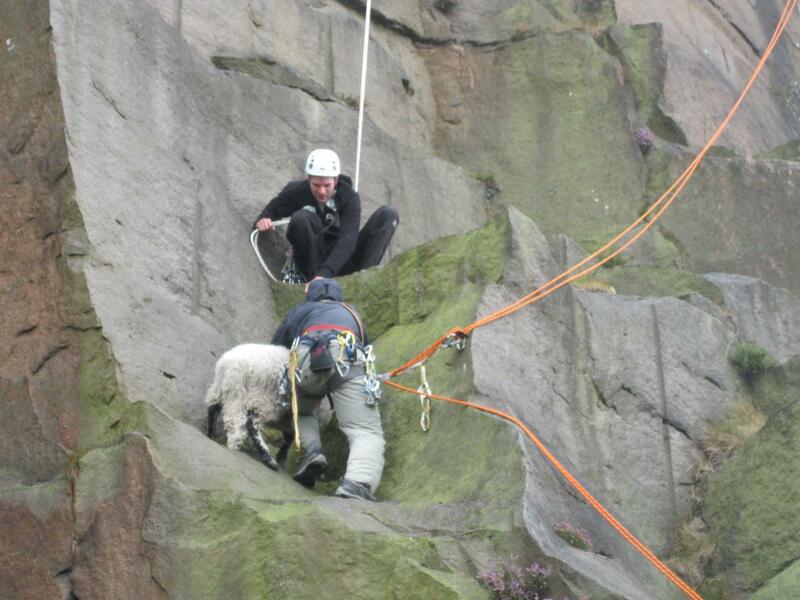 With the wooly wanderer now clipped to my harness, I began stepping back toward the edge. Initially it was really not too bothered about the whole affair, but then it looked over the drop and realised what was coming! Very much unhappy about becoming a wooly pullover-the-edge, it started really putting up a fight and I was forced to clamp it between my legs and haul it over backwards. Eventually I reached the ground, the sheep safe and sound, and breathed a sigh of relief that it had not managed to wriggle free. 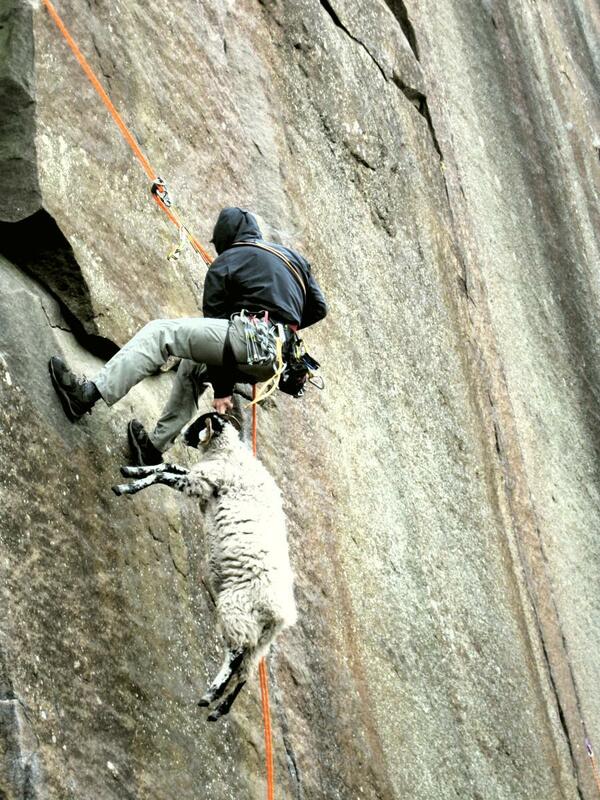 Some time after this rather bizarre rescue, I met a lady in Yosemite known online as Big Wall Kate. I recognised her from something she said about portaledges that matched with an article she posted on SuperTopo.com. 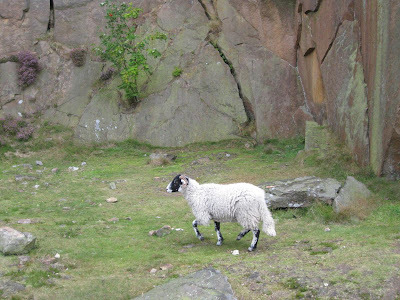 We got chatting about posts online, and when I mentioned that I had posted the picture below on SuperTopo she suddenly shouted - "You're the sheep guy!, hey everyone, he's the sheep guy!". Funny what you can get famous for these days. I later earned a new title from her "The Albatross Whisperer" for my apparently uncanny abilities with a BD Double Cliff Cabana portaledge. Another rather strange title, but definitely better than Sheep Guy. Thanks to Julien-Robert Legault-Salvail for the awesome pics, and to the other guys who helped with the rescue whose names we never got! I would not generally take the time to mention the virtues of a chalk bag, after all we just pick the one that looks cool right? 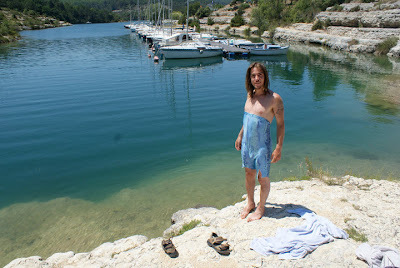 But in the case of this one in particular, I thought it was worth a special mention. 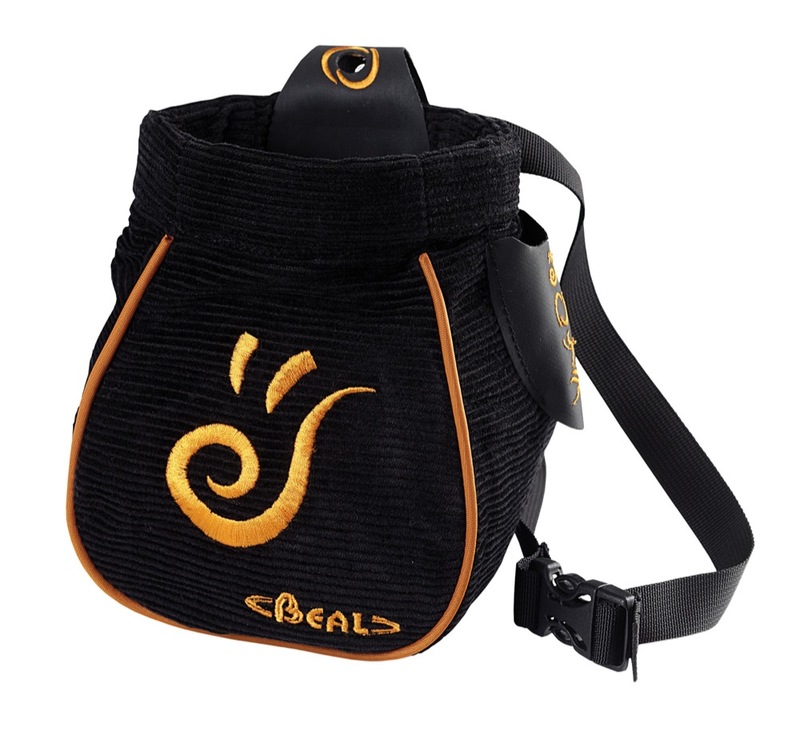 Beal have developed a new opening system for the Cocoon which I think is great, and it's what sets this one apart from the others. It's called Clic Clac and consists of two strips of flexible plastic in the lining around the top which allow it to 'pop' open and shut easily with one hand. - There is no loop of string hanging out to get caught on your gear! My new favourite chalk bag! The other features are pretty well done too, the toothbrush holder is the first one I have used that actually keeps it in for any length of time, and the attachment for the waist strap allows for using a carabiner or whatever preference you have instead. The texture inside has a nice soft feel without leeching too much chalk, and the build quality feels solid and robust. Overall I think this is the best designed chalk bag I have ever used and I keep finding myself looking at other ones and seeing them as a bit outdated. Maybe I will find a better design one day, but until then I'm sticking with this one! All text and most pictures by Tom Ireson unless otherwise stated. Banner photo by Mark Haley.. Powered by Blogger.